The rules for tax deductions in Canada can be frustrating to some when comparing the tax deduction law in the U.S. But the question “Are mortgages tax deductible on Rental Properties” is one topic that is a positive in Canada! Mortgages for the purpose of buying your family home, are considered non-deductible. This is because your house mortgage is considered a registered asset, and is not tax deductible in Canada; Which is a wonder to some who have compared this law to the U.S. whose mortgages are tax deductible for all. The key here is that if you borrow money that will be going towards an investment, like a rental property, it becomes a non-registered asset. Of course, you have to be careful about what you decide to have deducted. Normal deductions for any property owners wondering “are mortgages tax deductible on rental properties” are pretty straightforward. You can deduct tax on insurance on the property, advertising that is attracting people to your property, fees from any lawyer charges or mortgage brokers, any bookkeeping or accounting fees, the wages of a property manager if you have one or any other wages involving people employed to your property, the property repairs, utilities if you have chosen to pay some, and even the cost of your travel to the property if you own 2 or more properties. Since you are allowed to tap into your home equity and use that money to pay expenses for the rental property, you need to make sure that this money is going towards non-registered assets and keep track of what you’re budgeting the equity money towards. Even a small amount going towards a non-investing purpose will have Canada Revenue Agency looking into it. It is also a good idea to keep a record of the services and invoices you have used for repairs to prove that you have not done work on the property yourself. This would make that aspect of your tax deduction non-deductible. Are mortgages tax deductible on rental properties ? All in all, it is a very good idea when wondering “are mortgages tax deductible on rental properties” to know that a large number of wealthy people actually depend on these tax deductions to run their businesses. Another thought to keep in mind is knowing that the government is pushing incentives like putting money into investment and borrowing. Making it nearly a guaranteed win if the rules are followed. This can make it a good option to rent out part of your house or basement which would make your residence’s mortgage, tax deductible. As long as your generating income through this, you are good to go! It makes sense why so many home owners these days are renting their house and generating income, making their home become a rental property. 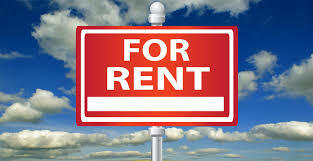 It’s no doubt that many people these days have been wondering “are mortgages tax deductible on rental properties”. With the tax laws in Canada, the main set back in achieving a tax return with maximum potential is simply just not having full knowledge of your options. The more knowledge you have on these options will be the difference on how fast your mortgage is paid off!